Vice Chancellor and Provost Michele G. Wheatly has announced the appointment of professors Rochelle Ford and Ping Zhang to serve as Provost’s Faculty Fellows, effective immediately. Ford is a professor and chair of the Department of Public Relations in the S.I. Newhouse School of Public Communications, and Zhang is a professor of information studies in the School of Information Studies. Ford’s designated area of focus as a Provost’s Faculty Fellow will be the Middle States Commission on Higher Education reaccreditation process, now under way. Ford serves as faculty lead and one of three co-chairs guiding the reaccreditation process, along with Libby Barlow, assistant vice president for institutional research and assessment, and Jeffrey Stanton, associate provost for academic affairs. Zhang, who recently returned to the iSchool from a fellowship with the American Council on Education (ACE), will work with Associate Provost for Faculty Affairs LaVonda Reed on building the University’s capacity for faculty development. “Rochelle Ford and Ping Zhang both bring important skills and insight into two priority areas for the University right now—the Middle States reaccreditation and the need for robust opportunities for faculty development,” says Wheatly. “As the faculty lead in the reaccreditation process, Rochelle will play a crucial role in helping to guide the process through to a successful conclusion. The experience she brings, especially in terms of communications expertise, will serve us well in ensuring the study process is both thorough and inclusive. Ford joined the Newhouse faculty in 2014 as professor and chair of the Department of Public Relations. Prior to that she had served as a faculty member and administrator at Howard University, where she championed diversity and conducted interdisciplinary research with grant funding totaling more than $2.14 million. She is a frequent speaker both in the U.S. and abroad, and her writing has appeared in The New York Times, book chapters, and refereed journals. 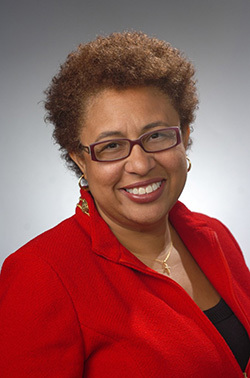 Among other awards, she has received the Public Relations Society of America’s national D. Parke Gibson Multiculturalism Award, the National Black Public Relations Society Founders Award and the International Award for Innovative Teaching, Learning and Technology. Ford earned a Ph.D. from Southern Illinois University at Carbondale, accreditation in public relations from the Universal Accreditation Board and graduate certificates in management and leadership from Harvard University. 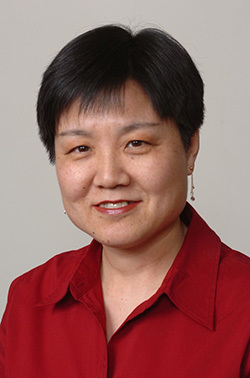 Zhang has been a member of the iSchool faculty since 1995. As a 2015-16 ACE fellow, she worked closely with the president and other senior leadership at her host institution, New Jersey City University, and focused much of her time on faculty development-related issues. An internationally known scholar, she has earned multiple best-paper awards from international conferences and highly regarded publishing firms and has held visiting positions at more than a dozen universities globally. She pursues research related to human-computer interaction, including human centeredness in information communications technology (ICT) development, evaluation and use; and the impact of ICT design and use on individuals, organizations, societies and cultures, among other related topics. She has co-authored or co-edited three books, including the first textbook on human-computer interaction designed for non-computer science students. She was the founding co-editor-in-chief of the first Association for Information Systems (AIS) transactions journal, AIS Transactions on Human-Computer Interaction. “I am honored to have this opportunity to serve my home institution after my transforming year as an ACE fellow,” says Zhang, who earned a Ph.D. in information systems from the University of Texas at Austin. The Provost’s Faculty Fellows positions were created in 2015 with the goal of expanding channels of communication and opportunities for collaboration among the Provost’s Office, University leaders, faculty members, students and others. These appointments generally last two to four semesters and provide unique opportunities for leadership development and campuswide service to the academic community.